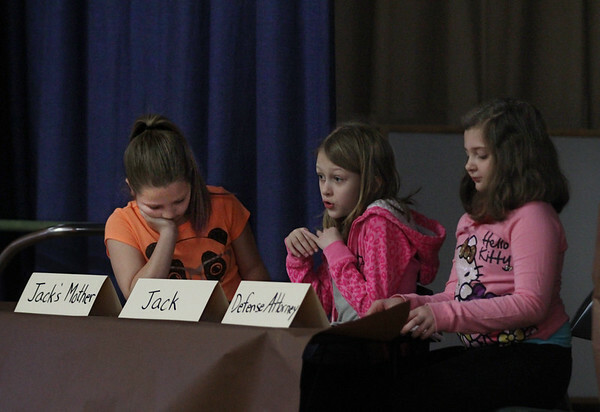 Third graders, from left, Morgan Pennimpede, Kylah Plante and Kaylee Curcuru perform in "The Jack and the Beanstalk Trial" Friday at Veterans Elementary School. Students in Steve Mirandi's class occasionally perform plays from different literary genres to work on their fluency and intonation. In the play, Jack is charged with crimes against the Giant and has to defend himself in court.